It was an evening of transformation if there ever was one. A place for running, sweating, and shooting hoops became an elegant party space, bathed in blue and red light. Students traded skinny jeans for long flowing dresses. And alumnae shed business casual for sparkle and silk. Nearly 600 people gathered in the Dorothy Towne Field House in late October to celebrate Wellesley’s impact on the lives of generations of women—and on the world. 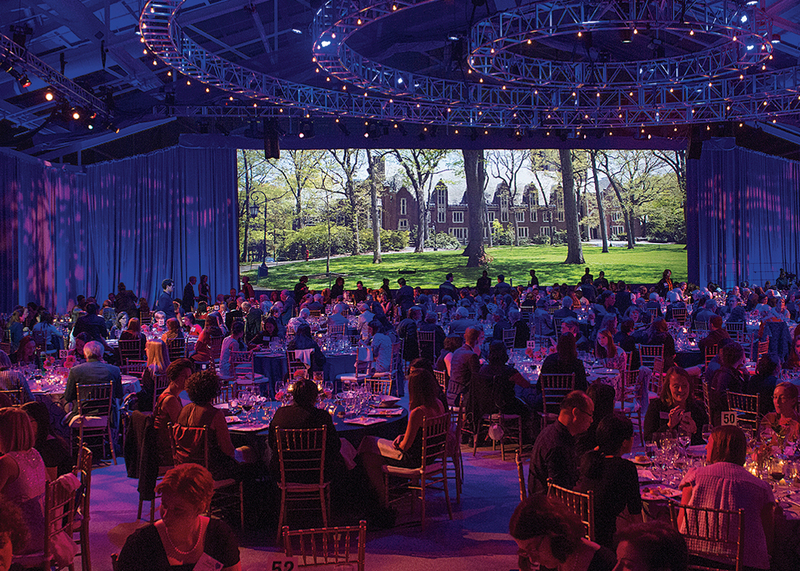 With this gala launch of the $500 million Campaign to advance the Wellesley Effect, the College set its sights on an even broader reach and a deeper impact. 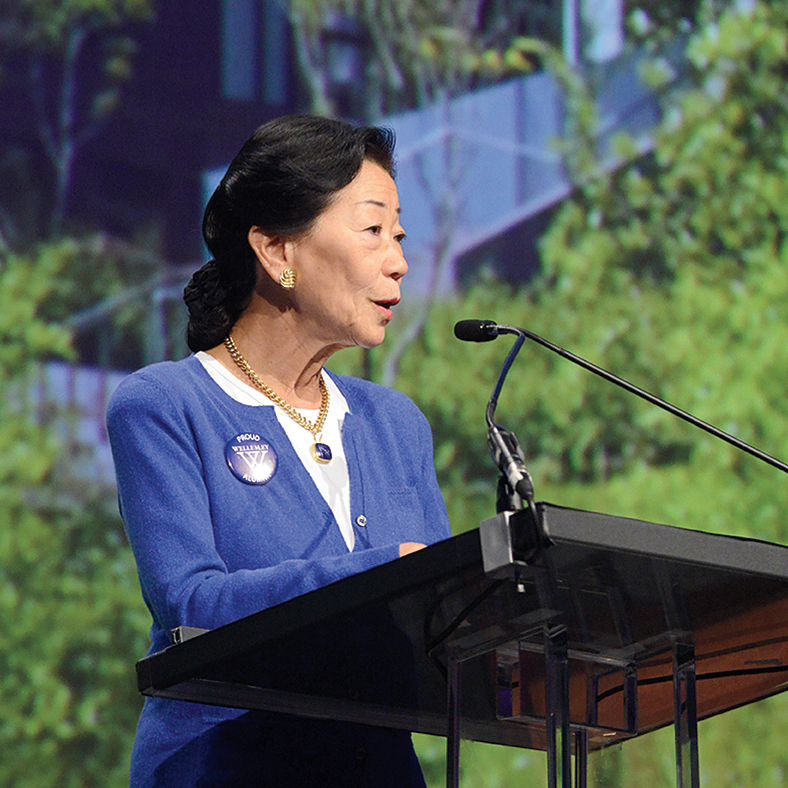 Lulu Chow Wang ’66 introduces a session during the campaign launch weekend. 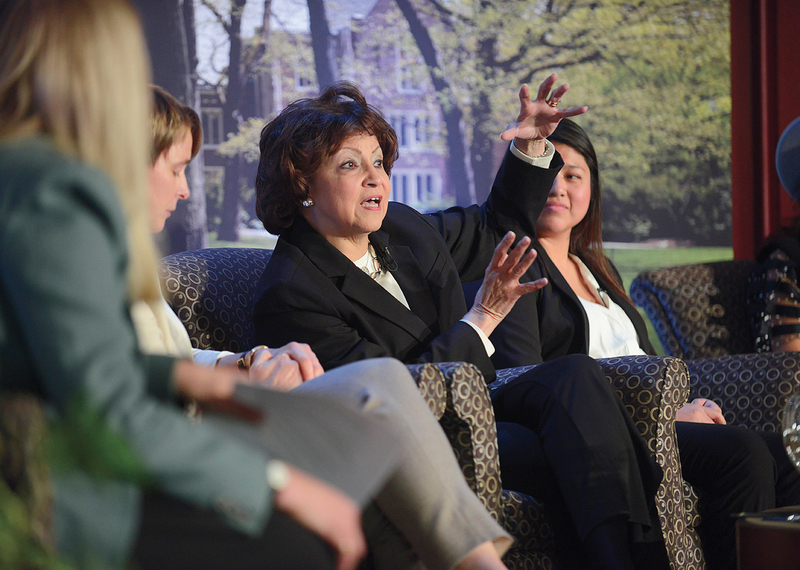 Cameran Lougy Mason ’84 leads an alumnae panel discussion on leadership. Dinner guests at the opening gala. 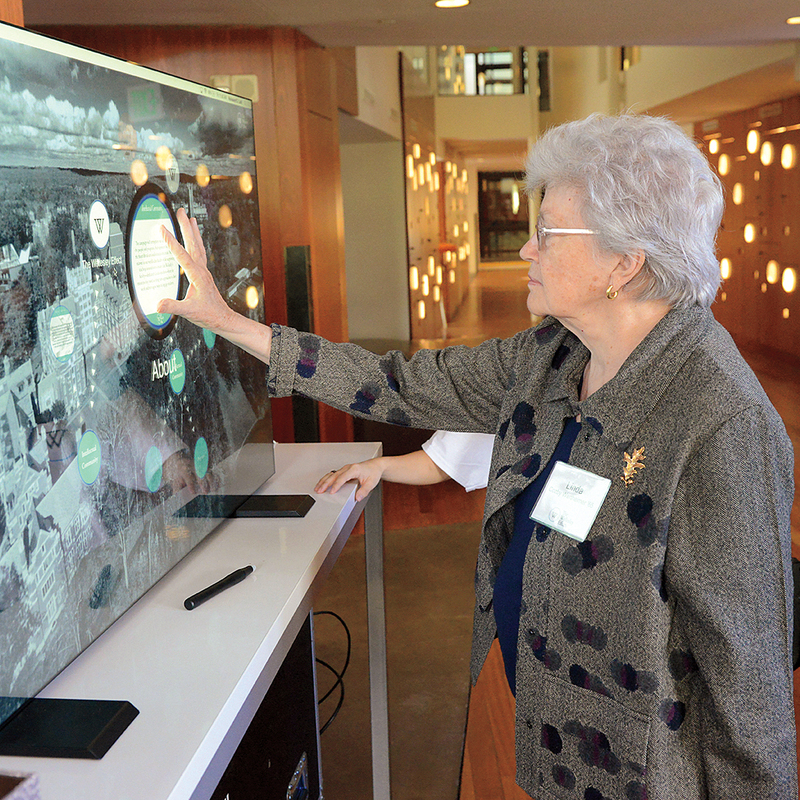 Linda Cozby Wertheimer ’65 explores the campaign goals on a touch screen. 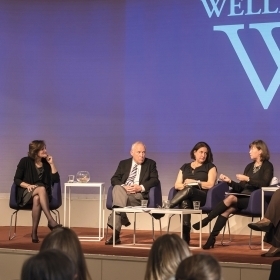 Janet McDonald Hill ’69 discusses the Wellesley Effect. 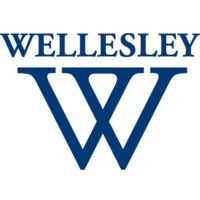 Shennan added that the gift is intended to bring Wellesley to the world in a more pronounced and intentional way. 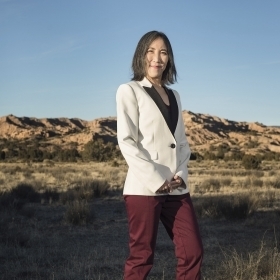 “It will enable us to strengthen our voice and influence through the remarkable work of our faculty, students, and alumnae and by forging partnerships around the globe,” he said. 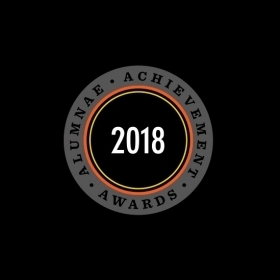 “In making this gift, these alumnae are expressing—with great conviction—their belief in Wellesley’s mission, and in the imperative of investing in women and women’s education as the surest way to improve the world,” Bottomly said. 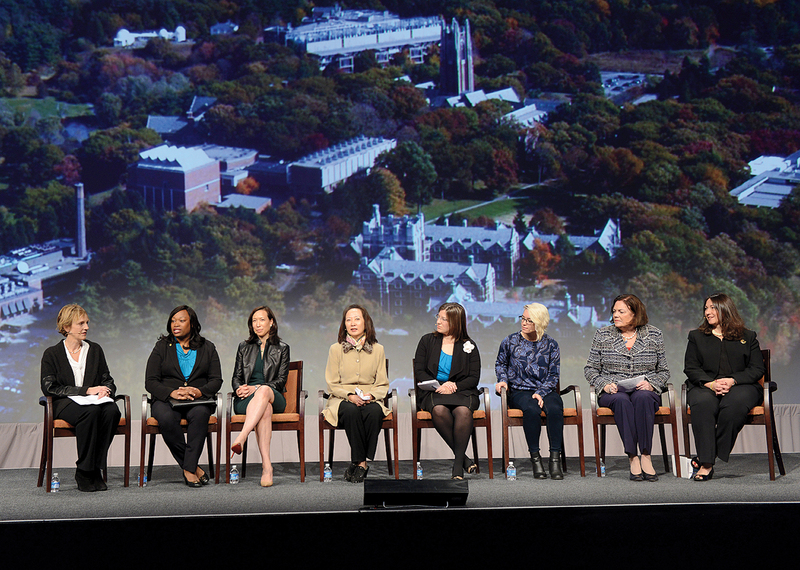 Videos of the panels and other talks given during the campaign launch weekend are available at https://www.youtube.com/user/WellesleyCollege. For more photographs of the weekend, visit magazine.wellesley.edu/gallery. 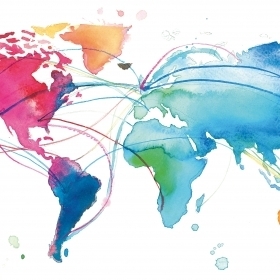 Launch celebrations for the Campaign to advance the Wellesley Effect are taking place around the U.S. and the world. 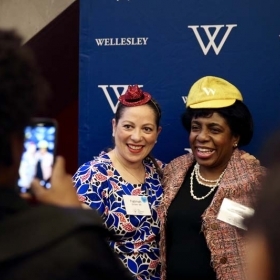 The next event is “The Wellesley Effect—Chicago Style” on April 2 in the Windy City. 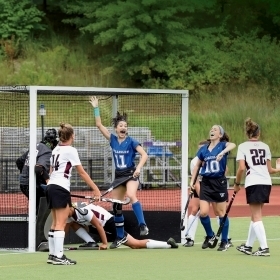 For coverage of events in New York and London, see the WCAA section.